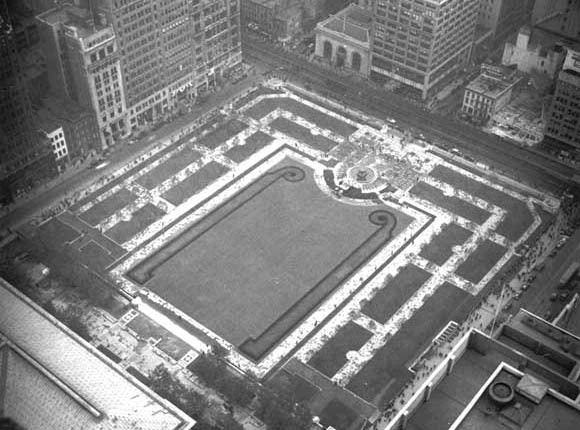 Seventy-seven years ago today Bryant Park re-opened after an aggressive redesign and renovation led by NYC Parks Commissioner Robert Moses. Lifted straight from an older post, which has several in-process construction photos: "Assisted by consulting architect Aymar Embury II, and landscape architect Gilmore D. Clarke, Moses transformed the grounds of Bryant Park from a Victorian greensward to a French Classical landscape very similar to today’s design." 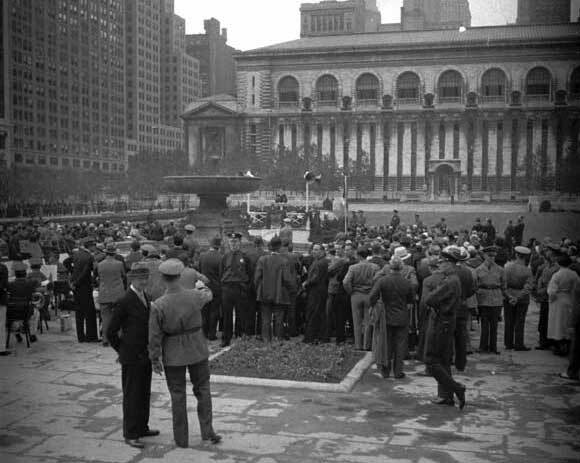 Here are a few photos from the dedication ceremony held on September 14, 1934. First, the ceremony. 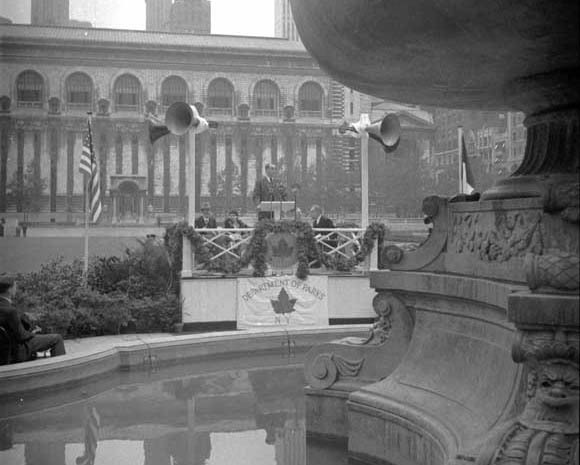 It almost looks as if no one is there listening to Robert Moses, and the fountain water is very still. But it was well attended. Everyone is clustered behind the fountain, recently moved from its prior location at the other end of the park, just behind the library. A bird's eye of the lawn, including the hedges, Bryant Park Place along the left on 40th Street, and the Union Dime Savings Bank building at the corner of 40th and Sixth Avenue.